In addition to basic editing with Panopto, here are a few additional editing features and tips on the editor located in the LSU Panopto Web Portal. 2. Click on any of the events will seek the video to where that event starts. For secondary video (screen capture, secondary camera): They are automatically generated every three minutes. 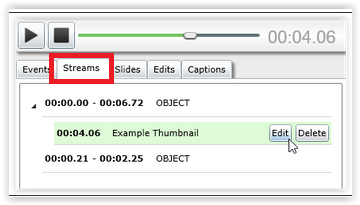 You can add in events to supplement the three minute gap in secondary video. 1. 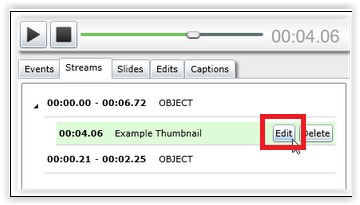 Select Add a new event within Events tab (Thumbnails can only be inserted into screen capture & secondary video streams). 2. Click where you want the thumbnail to be inserted. 1. Hover the mouse over the thumbnail you wish to change. 1. Click the Streams tab. 3. Click OK after editing start time. Important: To use this feature, you must create a new version first, then edit and save that version. 1. 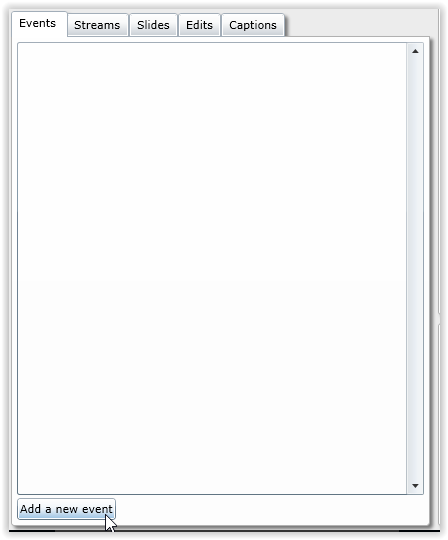 In the editor, click Save As. 2. Enter a name for the new version of your session and select OK.
3. The session will automatically change to the new version. NOTE: This can also be used to edit captions from a 3rd party vendor. 1. 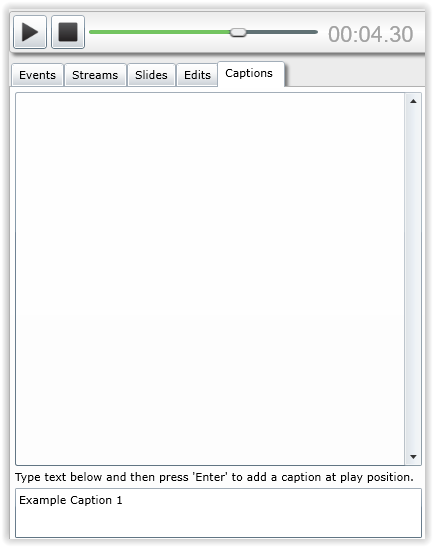 To manually type in a caption stream: Click on the Captions tab and enter caption into text box. 2. Press Enter, when you want to add your captions to the video. Stop Button - Returns the video back to 00:00. +/- controls - Allows you to zoom in/out of the recording. Revert - This will undo all editing that has been done.